CARDWELL: With Elton John’s “Crocodile Rock” playing in the background and a tribute from Steve Irwin’s family, a small seaside town in north Queensland bade farewell to a beloved community member Saturday, a saltwater crocodile, reports AFP. Affectionately known as Bismarck, Fluffy or Gary, depending on who you speak to, Cardwell residents held a ceremony to say goodbye to the town’s 4.5 metre (15 feet) croc. More than 50 people attended the service, held at the Cardwell Jetty and organised by local Thea Ormonde. 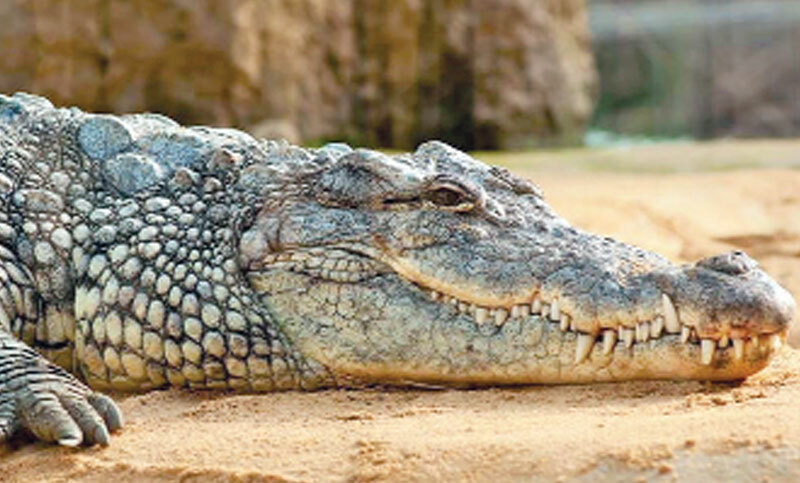 Bismarck made international headlines earlier this month, when fisherman Ryan Moody posted a video to social media about finding the crocodile—rumoured to be as old as 80 — dead in a creek with what’s believed to be a gunshot wound. The family of late bushman Steve Irwin sent a representative and recorded a thank you to the small town that played at the service, praising their positive attitude towards the reptiles.